I am lucky in many ways and have been able to do a lot of work already although my baby is just about 10 months. I’ve graduated, done a few gigs, worked and performed a play and so on.. But at the moment I am feeling quite frustrated with the situation. I have so much I should do but almost all my time is needed as a mother, and obviously that is what I have to do. But I feel very torn on this subject. Envy is an emotion that is getting hard to quench and I start to minimize my own worth and capability as an artist, musician, teacher.. mother. How can it be that I still haven´t managed to get La Riippa Groups album ready? How can it be I don’t publish more? Why don´t I create more? Where am I? And then again. I sit here on the floor as my boy is sleeping in our bed. He’s been teething and the poor soul has had difficult nights. Obviously this is were I am needed and were I myself need to be, but the contradictions of the roles in my life is really harassing my mind and I feel inadequate. What a relief then to now have some time in the morning to write down these thoughts as an artist and mother. And what a relief to have had an easier night and my son seems to be feeling better and those little pearly whites and gums are not aching as much today. So after taking some time to reflect and get my head together: what has happened since the last post? I had the immense pleasure to work with Rock Donna again. Rock Donna is a community that work for girls right and opportunity to do music. 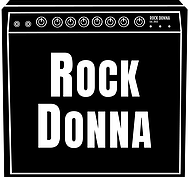 You can check out the work Rock Donna does on their homepage www.rockdonna.com. The community has been based in the Southern part of our country where they have been working since 2012 more or less, and last year we had our first workshop here in Ostrobothnia were I live. Last weekend we finished our second workshop and this time it was in Jakobstad. This time the workshop was for girls in elementary school and we had a happy bunch of 8 participators. As I earlier mentioned -envy, why not tackle that here and now. As I now have been nursing a teething baby who has more or less been glued to me, yes the emotion of envy has hit hard. I am in the marvelous position of having friends in the field of art and music, and these friends are very talented. Oh my how talented!! and as I sit in my dark corner with a cloud on my head I almost feel a bit resentment. Resentment with my own life at the moment. And that is a feeling I have, not good or bad, it´s just the truth. I am very lucky and I love my son and I would not want it any other way, but nevertheless I long for a bit more freedom to create and be part of a cultural life beyond the walls of my home. These are emotions, and emotions are not always rational, but they are justified to be acknowledged. Envy that women feel towards other women. May it be about beauty, physique, relations, talent, positions. This is an ugly emotion, and we have all known it. Thank you for reading this far, and I already feel stronger. Here in Finland we also are in the middle of the KAAMOS. A lovely state when the sun rarely shows itself, what a joy! All my love to you fellow sisters and brothers!